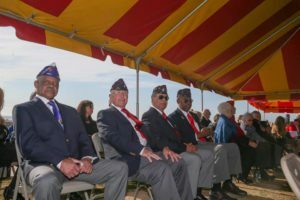 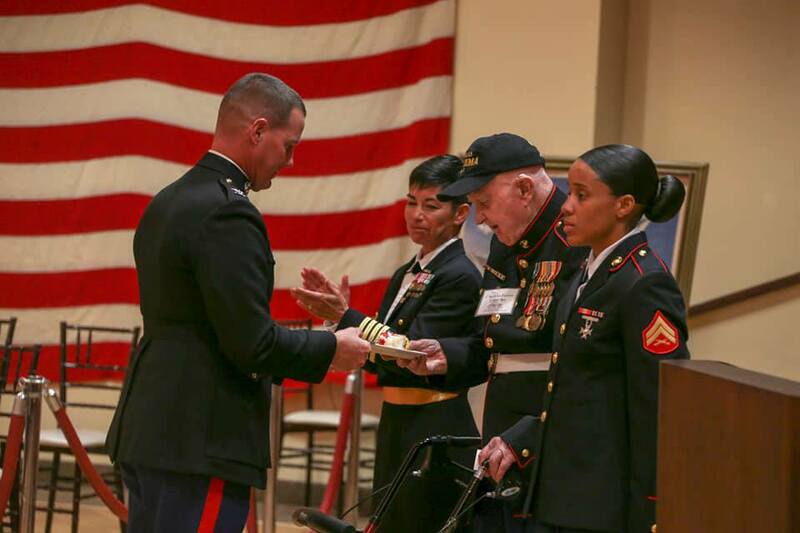 United States military personnel who served in the Battle of Iwo Jima were commemorated Saturday during a ceremony at Camp Pendleton, but the number of veterans honored in person at the event was sadly small. 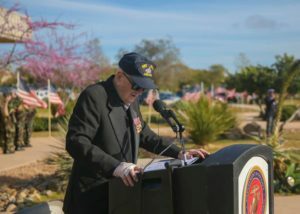 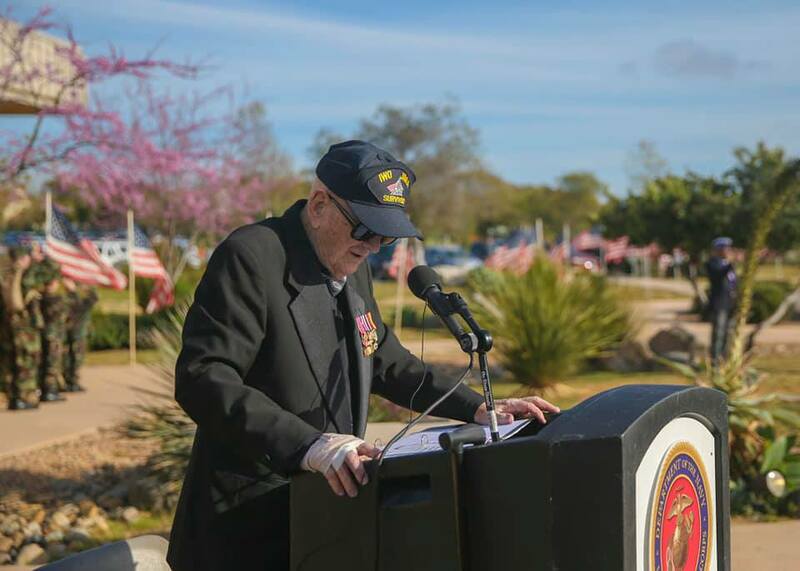 The Iwo Jima Commemorative Committee hosts an annual, three-day event to bring veterans who survived Iwo Jima together to remember their experiences in service at the Pacific Views event center at Camp Pendleton. 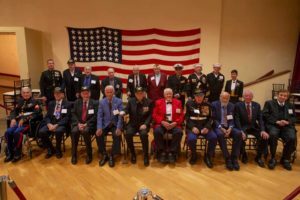 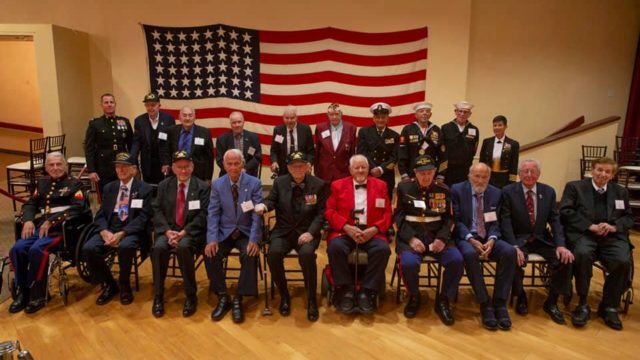 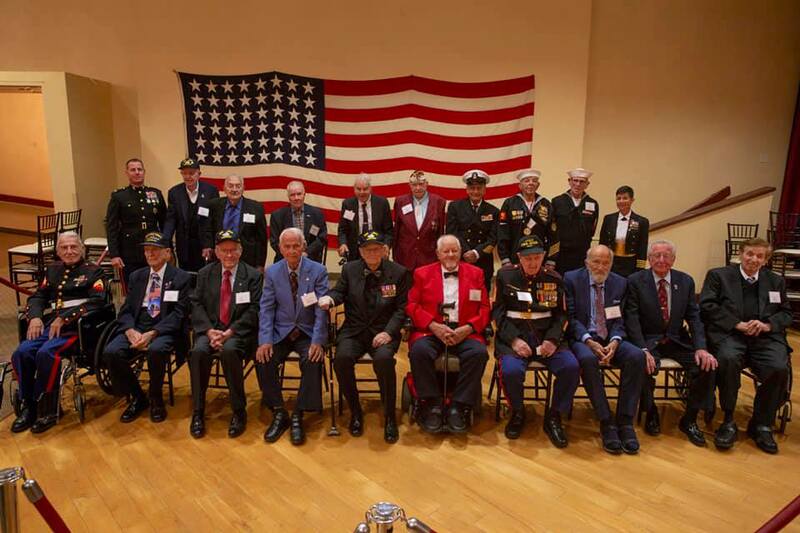 This year marked the battle’s 74th anniversary, and according to a group photo taken during Saturday’s Camp Pendleton commemorative, only 18 Iwo Jima vets are pictured. 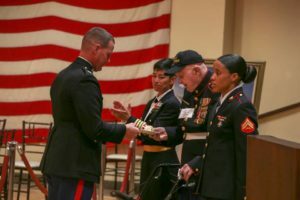 The five-week Battle of Iwo Jima took place Feb. 19-March 26, 1945, and is considered by historians to be one of the bloodiest Pacific War confrontations of World War II. 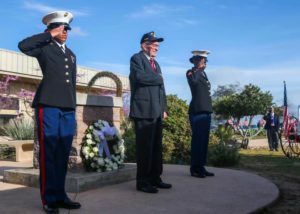 Below is photo gallery of the 2019 commemoration event aboard Camp Pendleton.